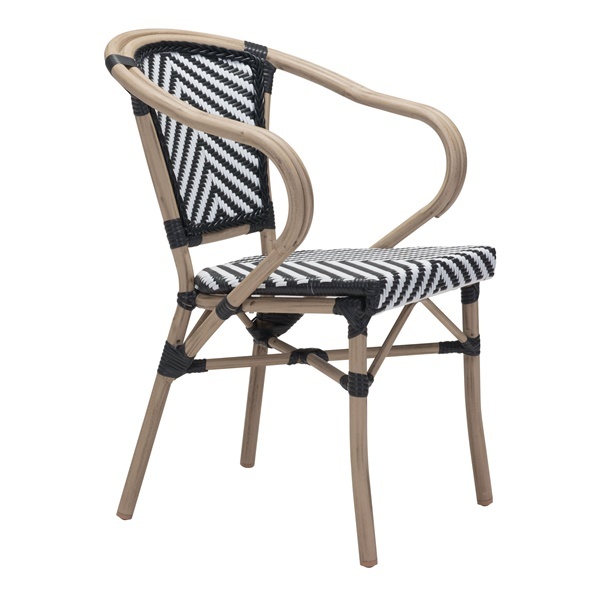 Available in a variety of bright colors and unique patterns, the Paris Dining Chair by Zuo is sure to bring a new style to your outdoor space. Stackable for convenience, its aluminum frame is weather resistant and durable while its synthetic weave seat and back rest are breathable and weather the elements. It is UV guarded so that it doesn't fade. Give your guests something to talk about, comfortably of course, with the Paris Dining Arm Chair.